Daryl Johnson (Worcester Park, United Kingdom) on 19 November 2008 in Architecture. 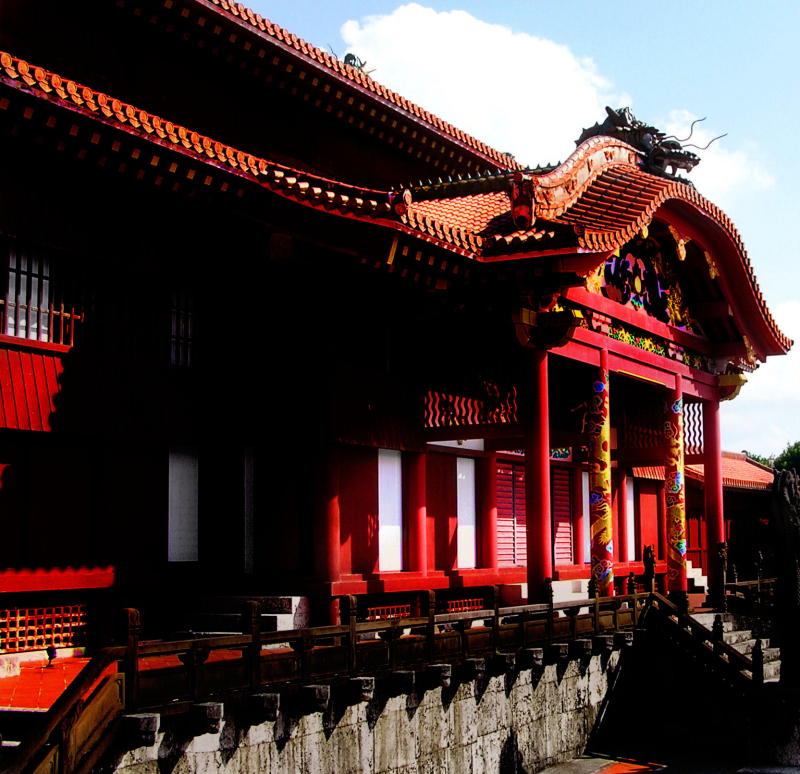 A side view of the main hall at Shuri castle, Naha. Nice image. I like the detail in the ornamentation. What a beautiful architecture. I like the subtle light/shadow play. I marvel at the depth of detail in these places . . what a joy. Beautiful architectural picture of an interesting building, in wonderful colours. Very strong colors, good angle, bravo! Gorgeous color saturation and shadows, a beautiful shot Daryl ! This looks so Japanese that it could be an American version of what looks Japanese. @Twelvebit: Thanks Twelvebit! Actually, this Ryukyuan style is a bit different to Japanese style! this is a splendid shot -- i love the vivid red and the intricate architecture! !